When it comes to building a safe, productive in-vehicle workspace, it\’s important to address all angles of your Total Mobility Solution. The goal of this solution is to increase productivity in your workforce while decreasing overall costs and keeping workers safe. 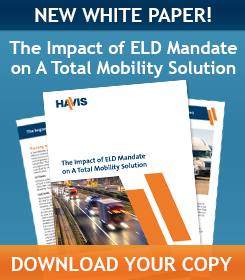 Therefore, it may be helpful to put together a checklist of the equipment and services that you will need to build your Total Mobility Solution to solve your business problems. Software: Does your fleet or department currently utilize software to increase productivity? There\’s a wide variety of software for mobility, public safety and many other platforms. With the right software, you can boost your fleet\’s performance and improve ROI tracking. 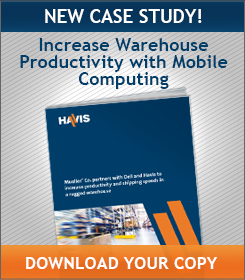 Hardware: Laptops, tablets and other hardware are key assets to the mobile worker. If you don\’t already have your vehicles equipped, research which hardware is the best fit for the mobile environments your drivers will encounter. You\’ll also want to ensure that your new hardware is capable of running whatever software you selected. Connectivity & Integration: Once you\’ve nailed down your software and hardware, you\’ll need reliable connectivity and integration to your back-end systems. Proper connectivity and integration will help minimize downtime and provide your fleet with the most up-to-date information in the field. Docking & Mounting: Here\’s where Havis can help. Now that you\’ve made a substantial investment in software and hardware to mobilize workforce management, you\’ll want to protect that investment with high quality mounting and docking solutions. Havis docking stations will secure and protect laptops and tablets in just about any environment, and they\’ll also provide your fleet with access to key peripherals and power. Additionally, our vehicle specific mounts provide the strongest mounting solutions for valuable computing equipment and other technologies. Professional Installation: Once you\’ve configured your full solution, you\’ll want to ensure that all of your equipment is properly installed. With a reliable, seasoned professional installer, you\’ll be all set to rollout your newly-equipped fleet. Accessories: Computing, mounting and docking accessories all assist in completing your Total Mobility Solution. Accessories are sometimes considered as a final touch, but they can also serve a crucial role in rounding out each vehicle\’s workspace. 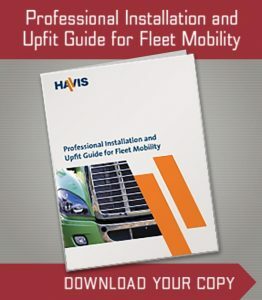 For more information on upgrading your fleet to a Total Mobility Solution, or to view Havis affiliates in above categories, check out the Havis Affiliates page. Previous Previous post: Need a Tablet Docking Station or Universal Mount? Havis Has You Covered.